Ecuador says it had arrested a "close associate" of WikiLeaks co-founder Julian Assange, whose asylum at the country's embassy in London had been revoked just hours earlier. Interior Minister Maria Paula Romo confirmed the move, saying the Ecuadorian government had gathered evidence on WikiLeaks having "intervened in domestic politics" and therefore arrested a person with links to Assange for "investigative purposes". The person had been living in Ecuador, she added, but was preparing to travel to Japan when they were arrested. An anonymous official identified the arrested individual to the Associated Press as Swedish developer Ola Bini. Bini, who is based in Ecuador's capital of Quito, had tweeted his excitement on Wednesday about his upcoming trip to Japan. According to Romo, he had on several occasions visited Ecuador's embassy in London, where Assange had been living for the last seven years. When initial news broke of Ecuador's government searching for a WikiLeaks collaborator in its country, Bini tweeted his worry, adding that he believed it was part of a "witch hunt". Friends and colleagues of Bini have reacted strongly on social media, all maintaining the Swede was an advocate of digital privacy. Software developer Martin Fowler said he was "very concerned" to hear news of his friend's possible arrest. "He is a strong advocate and developer supporting privacy and has not been able to speak to any lawyers," he said. Apple software engineer Chris Stevenson said the news was "awful." "Ola Bini is a friend and colleague dedicated to freedom (as in speech), privacy and liberty (as in the constitution)," he wrote. "This cannot and must not stand." 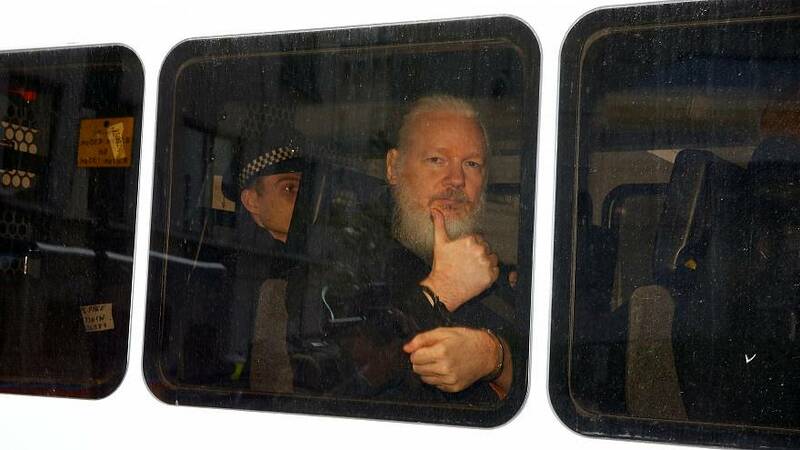 The arrest of a "close associate" of Assange came just hours after the 47-year-old was himself forcibly removed from the Ecuadorian embassy in London and arrested. He is facing extradition to the US on a charge of conspiracy to commit computer intrusion "by cracking a password" with US whistleblower Chelsea Manning.